That would place the grave and the farm somewhere near Winnipeg? Don't know Harper's unit or division but recalled a topic some time back with same date at Langemarck. 3 Field Ambulance 21/10/14 set up a dressing station S of Langemarck then set up an ADS in a windmill on the edge of Langemarck but had to withdraw. Diary for 1FA has a sketch map that shows 'STN' NW of Langemarck, possibly Chateau area U.22.d I'd say but can't be certain if this a dressing stn. 3FA 23/10/14 mention burying 7 men in a small field at the back of the farm (Bussaert). Never ID'd the farm or got anywhere with the 7 men who may still be there. The same ... Puzzling ... And still wondering about that L lower case. It certainly does look like that, but puzzled also by the fact that it is a little above the line... Maybe a totally irrelevant detail. And I haven't found (yet) where Winnepeg (Farm?) was. Was that near Langemark (centre) ? There looks to be a windmill south of the crossroads in U28 b 8.6. There is also a cemetery shown at U 28 b 7.5. Can I also ask where you get Winnipeg from please? Having worked out Harper was 5th Field Coy. 2nd Division, 5th Brigade. So have looked through 2/Div ADMS & 5th FC diaries for the date concerned. 5th FC diary does state 1 man killed 21/10/1914. They had to march to a rendezvous point along with 2/Worcs and reported to CO of Ox & Bucks LI. The RV point is described as; just west crossroads ½ north of St Julien. 5th FC took cover at rear of farm buildings during shelling and rifle fire. ADMS for the same date has a rather convoluted description for the location of where 5th Bde. casualties were taken 21/10/1914. Casualties of 5th Bde. were collected in farm around road junction about midway between 6 & 7 Km point on road N of St Julien. 5th FC RV point (1 man killed 21/10/1914) would be about sheet 28 C.6 which is a fair way SW of Langmarck. Casualty collecting location. Found a MacMaster map that shows the 6 & 7 Km markers, sheet 28 C.6 & 12. Triangle Farm is about mid-way but there may be others. Given that Langemarck was a bit of a hot spot that day why would he be taken from the RV point into Langemarck for burial. I also saw that his B.103 has an entry regarding his KIA and it notes a 'Special Report'. Given the two letters, a sketch (originally) and a special report it would be unusual for a post war graves unit not to spend some time trying to find the burial spot. If the letter says 1 mile N of St Julien that would roughly match the RV point and casualty collecting place. The latter also only says that M. Vanhove is a landholder in Langemarck and that Harper was buried on his farm, doesn't mean the farm was in Langemarck does it? Makes sense. That would be around Keerselare (Vancouver Crossroads). There would appear to be a crease in the paper. However with a bit of imagination you can perhaps see two horizontal upper lines each side of the mark. Are these the two top serifs of the letter N, not an E as I originally thought?
" The latter also only says that M. Vanhove is a landholder in Langemarck and that Harper was buried on his farm, doesn't mean the farm was in Langemarck does it?" Dutch (Flemish) "landbouwer" = farmer ... So I think it does mean that the farm was in Langemark ? But I can be wrong. In 1925 (local papers July) Isidore Vanhove and his wife Nuytten had a farm "langs den steenweg van Ypres naar Brugge". And also : "langs den steenweg van de Barrier of Keerselaar naar Poelcapelle". This road is the road Ypres - Sint-Juliaan - Poelkapelle and farther north. It is N - S, and east of the centre of Langemark. I am not sure of course if in 1925 their farm was the same as the one they had before and in WW1. Aurel, yes I did read it as landholder so I could be way off there. Vancouver Crossroads is looking a good spot for his KIA and for a farm once belonging to M. Vanhove. Not near U.22 on adjoining sheet though. There were quite a few 5th Bde. fatalities the same day, probably 2/Worcs & 2/Ox & Bucks, wondering if any concentration sheets, GRRFs or service records are available for those. This is interesting 4986 pte D H Blower 2nd worcs died 21 Oct 1914, found in a German grave no 138 at St Julian east GMC, 28.c.12.b.8.2. reburied Perth Cemetery China Wall, Zillibeke. There are also three unknown British Soldiers. Den, good find, I think the map ref must be sheet 20. 28.C would be a long way off from St. Julian. I found a 1:10,000 map of St. Julian and E side of Langemarck. Numerous farms named but I'm uncertain which crossroads the RV point was as there are two. 1. North point of Triangle. I think the map ref must be sheet 20. 28.C would be a long way off from St. Julian. 28.c.12.b.8.2 is correct as a valid co-ordinate in the St.Juliaan vicinity. (it's Sheet 28, not 28C). It's about 750 yds NE of St. Juliaan, near 'Springfield' and a point shown as '8K' in your map link above., on a road labelled Zonnebekestraat on Google Maps. Yes, just looking at map and wondering why I thought St. Julian would be sheet 20, must be late! 5th FC RE RV point where Harper was probably killed is I think between Triangle Farm and Mon. du Hibou C.6.c.15.35. Maybe 500 yards NW from cemetery? There were almost 100 British and Canadian soldiers buried on St Julien East Cemetery by the Germans. It was used as a concentration cemetery in 1915-1917 so Harper may very well have been reburied in St Julien East by the Germans, but I think Keerselaere West German Cemetery (28.C.5.b.0.7) would be more probable for Harper as several of the Ox&Bux from 21 October 1914 were reburied in Keerselaere by the Germans. 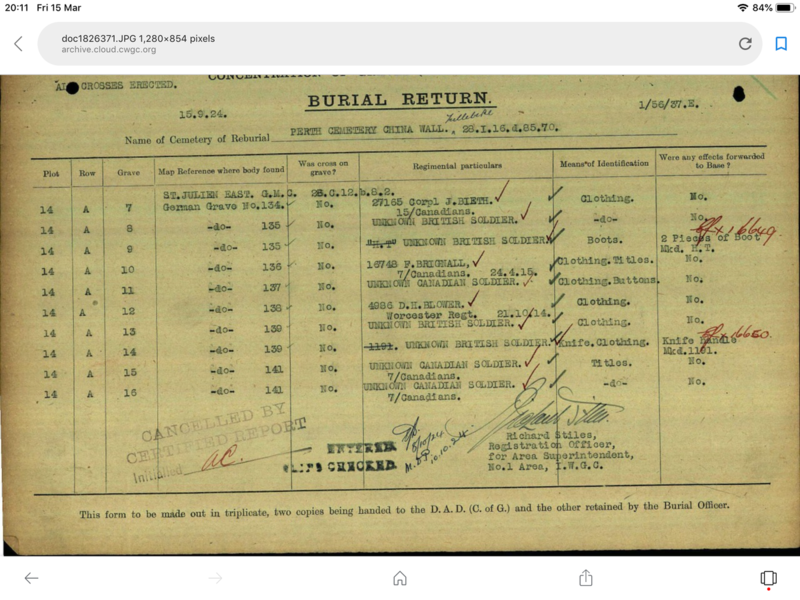 21 British soldiers were exhumed from Keerselare and reburied in China Wall, graves 14.B.9 to 29.
after much head scratching, so appreciate now where your coming from AOK4, I think you are as close to a resolve now, without some more paperwork comes to light. all within the area being discussed. Aurel in post #29 commented on the character after "situated" in the letter which looks like a lower case l. It's certainly raised above the line. I notice that the typewriter used shifts upper case letters up slightly when they are typed, look at the L in Langemarck for example. 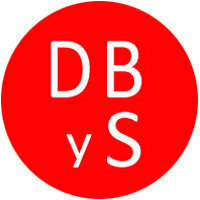 Also the serif at the top of the vertical doesn't seem to match the ones on the other i's . Is this actually an indistinct capital L? "Situated L[eft] of [farm] west of the Crossroads"
I went through the concentration reports for Perth and Cement House cemeteries yesterday but was looking for U22's if I get a chance I'll look again for C6 c's. I've just trawled 2nd division diaries again for anything. That's General Staff, 5th IB HQ, 2/ADMS, 2/OX&Bucks, 2/Worcs, 2/Connaughts & 2/HLI. 2/ADMS states 9 officer & 47 ORs killed, 54 ORs missing. List of officers per unit given in diary. 5/IBHQ gives 101 ORs killed, 36 missing. 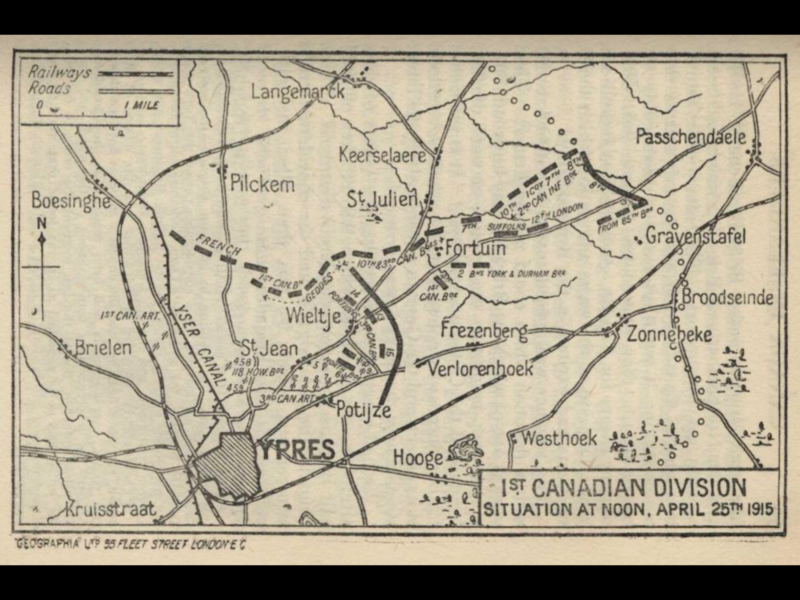 After the casualties due to shelling & rifle fire (including Harper) the units based around The Triangle moved south to a farm 1 mile N of Wieltje which is around 28.C.22. Later they re-grouped back at The Triangle and attempted to advance NE but were held up by the Haanixbeck on the left flank and the Stroombeck directly in front so fell back again to The Triangle and susequently to Ypres. That would be were I think Harper was KIA so an obvious place for burial, quite how U.22 crept in I have no idea. Still can't see a body being taken that distance into another division's area while things were pretty hot. Another map I found for the correct date. NB HLI were left flank of 2 Div. Hello to everyone - I am amazed at how much discussion you have had and how much help you have been trying to give me. Archibald George Harper was 5th Field Company Royal Engineers. 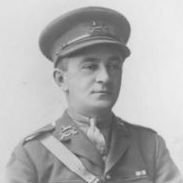 When I went to Kew a few years ago I was unfortunate enough to have timed my visit with when they were digitising the relevant war diaries from which I had hoped to ascertain where he was on 21 October 1914. I found information regarding battle orders and who was with what division from a book that had just come out - Ypres 1914 -1915 Battle Story by Will Fowler which no doubt many of you will have read. As he was not an officer and I am a family history researcher with no military knowledge it has been difficult to find information. I do hope to visit Ypres at some point and I think I will visit the various cemeteries you have all mentioned. We have visited Normandy and some of the cemeteries; although neither of us had anyone who had died in WW 11 I do believe that if you visit and in particular stand by the graves of the unknown soldiers you are not only paying your respects but for those who have been unable to do that. My husband's father was one of 10 brothers - 9 fought, 1 too young worked on the war effort. All who fought came home alive and one is mentioned in despatches. By the way do any of you know how I came to have Lance Corporal appear in my profile? I most certainly did not add this! I have tried to edit it but cannot seem to remove it. By the way do any of you know how I came to have Lance Corporal appear﻿﻿﻿﻿﻿﻿﻿﻿﻿﻿﻿ ﻿in my ﻿profile? Thank you JonBem - my mysterious promotion to Lance Corporal solved! I feel somewhat undeserving ..!!! It's been an engaging experience trying to resolve your questions and personally I gain a lot delving into areas of Great War history outside my primary areas of interest, having visited this part of the Salient several times adds further interest. Just as an additional point the question of the map reference U22 d stands out as a piece that doesn't fit the puzzle. There were two letter from Brompton Barracks; the first on 14 Feb 1915 which mentioned the farm, its owner, and the crossroads. This fits well with all the further evidence discovered. The letter from Brompton dated September 1915 is the only contrary fact. I wonder whether, when they responded to further inquiries, Chatham assumed the crossroads mentioned was in Langemark and looked for a farm West of Langemark crossroads, hence U22?